All weekend, the Decades Channel was showing these TV shows, which aired from '62 to '65. I watched 7 or 8 of them. They were grittier and more noirish than his films, and featured many established and upcoming film actors, Very interesting. When did they first get on tv. All weekend, the Decades Channel was showing these TV shows, which aired from '62 to '65. I watched 7 or 8 of them. They were grittier and more nourish than his films, and featured many established and upcoming film actors, Very interesting. That's what I like about SyFy's Twilight Zone marathon on New Year's Day and Independence Day. Some stories are better than others, but it is fun to see people like Charles Bronson and Agnes Moorhead plying their trade on shows like that. The Basehart episode was one of the ones I saw. The best one I saw was probably the one with John Gavin and Diana Dors where he is an MD sucked in by a fortune-seeking Dors. A little reminiscent of NORA PRENTISS. Don't think I've seen that one. I have see the one where Gavin is a cop who is suspended for killing a suspect and takes a job as a night deputy in a lake resort. This episode was the first Hollywood directing job for a young William Friedkin, and he goes into considerable detail about it in his recent memoir. A large number of the episodes were produced by Hitchcock's good friend Norman Lloyd. I liked a lot of them, but for reasons of a personal nature and the times of their airings, didn't get to see any of the marathon. Two of my favorites are "The Peeping Tom" with Bruce Dern as a young man who's suspected of making obscene phone calls to a woman in his neighborhood. 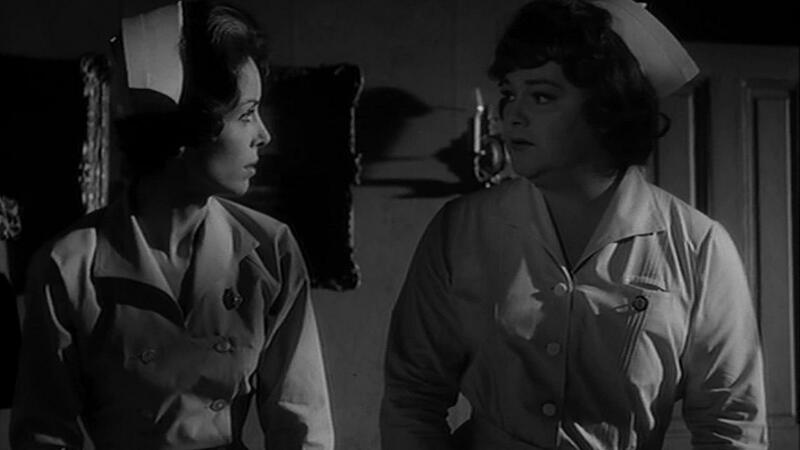 (I forget the actress who did her) and after in fright, she shoots him, the phone rings and it's the CALLER again! Another involves BOB NEWHART as a milqtoast-like guy who plots to get rid of his wife( Jane Withers). He sets it up to make it look to HER that he's trying to kill her, and manages to make it look to the cops and a jury that it was HER trying to kill HIM. After she's carried off to prison, he's shown arriving at the back stage door of a burlesque house to give candy and flowers to a stripper named "Peaches and Cream". The episode was called "How To get Rid Of Your Wife." Antenna TV is broadcasting the half-hour shows on Sat. and Sun. nights. Actually early Sunday and Monday mornings 3-5 AM ET. Made in the early to mid 50's. Some upcoming actors, but also a lot of older ones. I advise recording them as the commercials are long. In addition, you will see the same ones for months on end. What I find amusing is the ads for the standard "older" market and then the one with hot young women urging you to call them. The Newhart one was one of the ones that I caught a couple minutes of, but didn't have time to watch. There were more recognizable actors in these episodes than any other series I can think of. 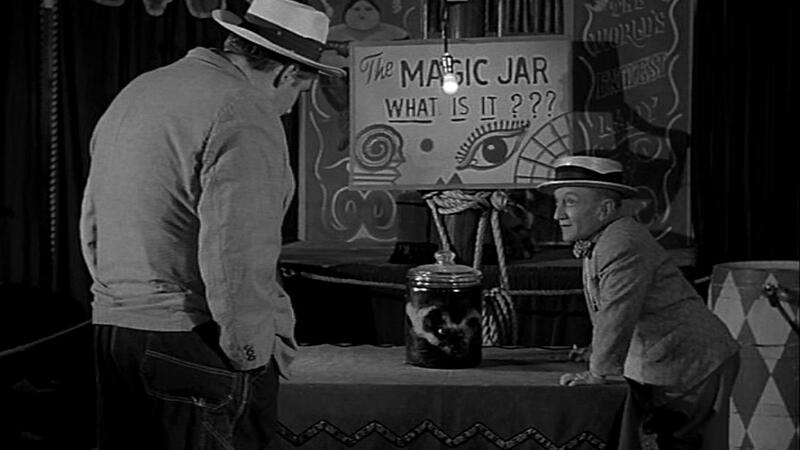 Lloyd directed "The Jar". He's interviewed in some documentaries on AH. I recall he talked about the wraparounds AH did. They were written by James Allardice, who kept coming up with more and more outrageous things for AH to do. Lloyd would read Allardice's scripts and say to himself, "Oh Hitch will never do this". But as Lloyd added, "He did them all". Like deMille, Hitchcock was something of a frustrated actor. IIRC Friedkin met AH exactly once during his job, and all Hitch said to him was a complaint that he wasn't wearing a tie. Years later Friedkin was at an Oscar party after winning for French Connection and saw Hitchcock there. He yelled out, "Hey Hitch! I'm wearing a tie!" But AH apparently didn't remember what he was referring to. Reminiscent of, "Mr. Rusk, you're not wearing your necktie", from FRENZY. There is one that haunts me called REVENGE. Vera Miles plays a young wife who is assaulted (probably sexually, but, of course, that is not made explicit). While driving through town with her husband as the police investigate the crime, she spots a man and says "That's him!, That's him" The husband follows the man and murders him. Later, driving away, she spots another man and yells "That's him! That's him". The End. 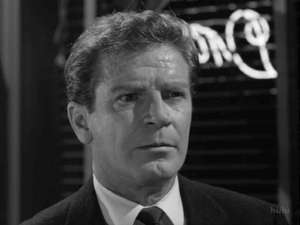 RipMurdock--the half hour version of "Alfred Hitchcock Presents" debuted in 1955. The hour long version debuted in 1961(? ), I think. The aforementioned "Revenge" was a half hour, the very first one in fact, directed by none other than Hitchcock himself. 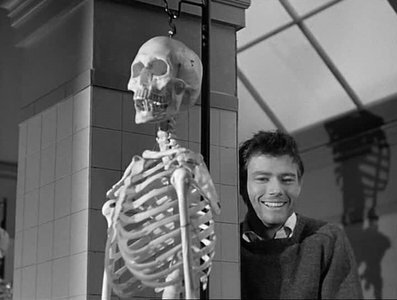 Another AHH fave: "The Cadaver", in which some practical joking med school students get a bit more than they bargained for. Seeing these old television episodes (including Twilight Zone and The Outer Limits) reinforces my opinion that Vera Miles should have had a much more expansive movie career and been a bigger star. This one sticks in my memory also, and it always makes me think of The Wrong Man (1956), in which Vera comes unglued near the end. I watched about 10 episodes over the weekend. One of those was the one with Gavin as an MD and Dors as a nightclub singer. The music was great with a jazz trio of piano, guitar and bass. My favorite one starred Ray Milland as doctor in a mental institution. what years was it on tv must be before my time.